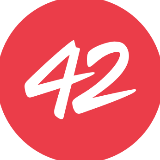 42Race is the fastest growing fitness social platform in Southeast Asia. To date, we have more than 50,000 users on our platform. We make use of technology to bring fun, motivation, and flexibility to runners.